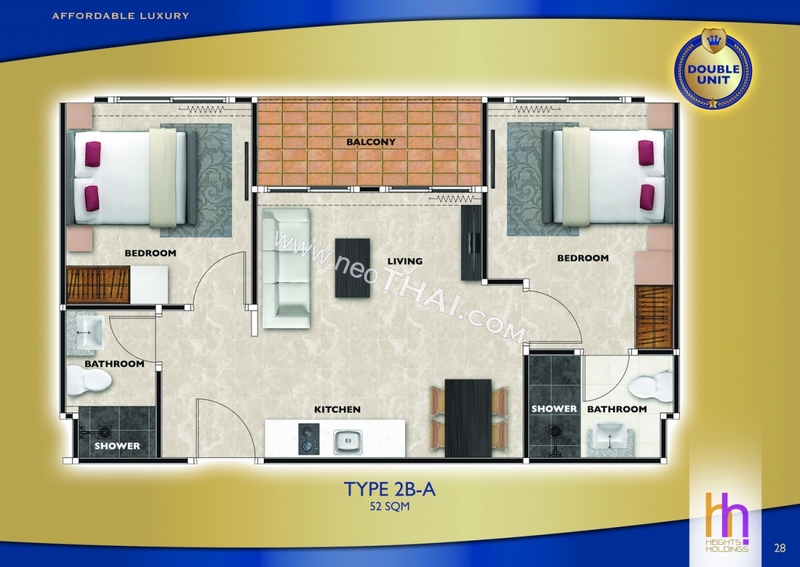 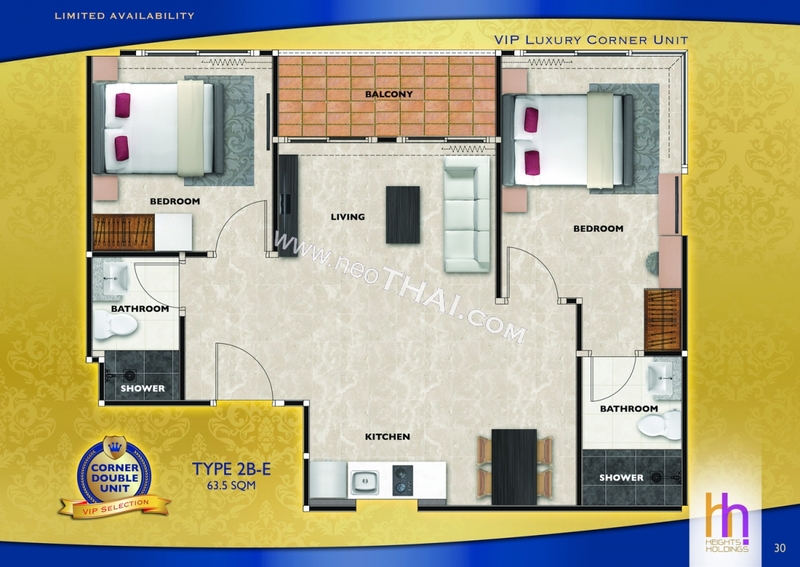 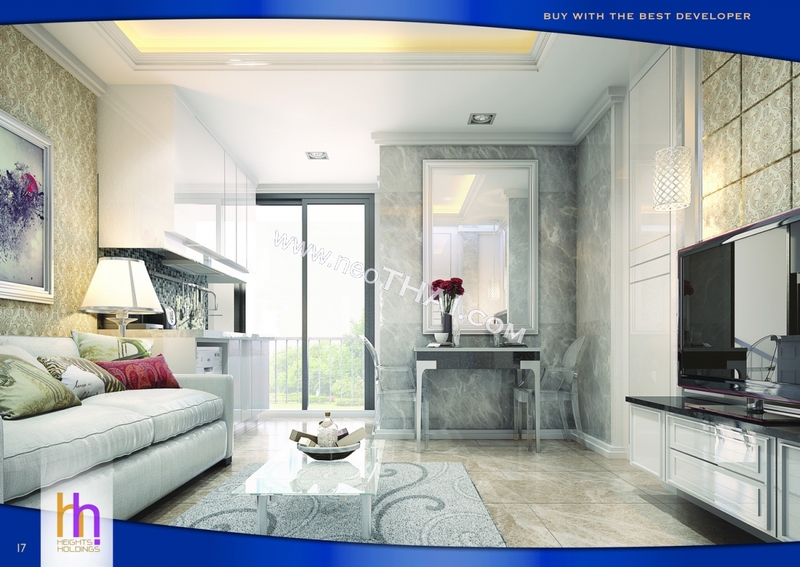 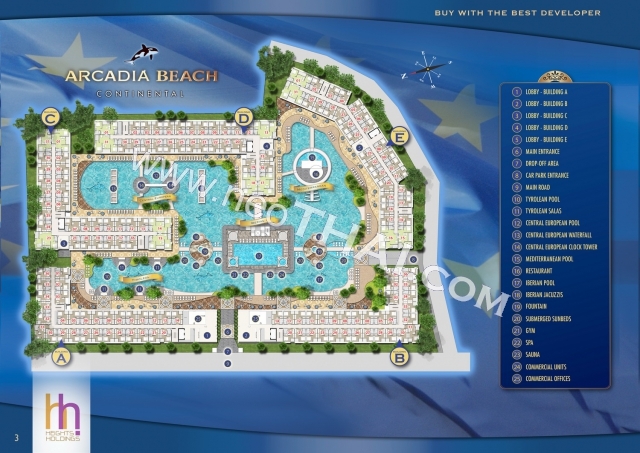 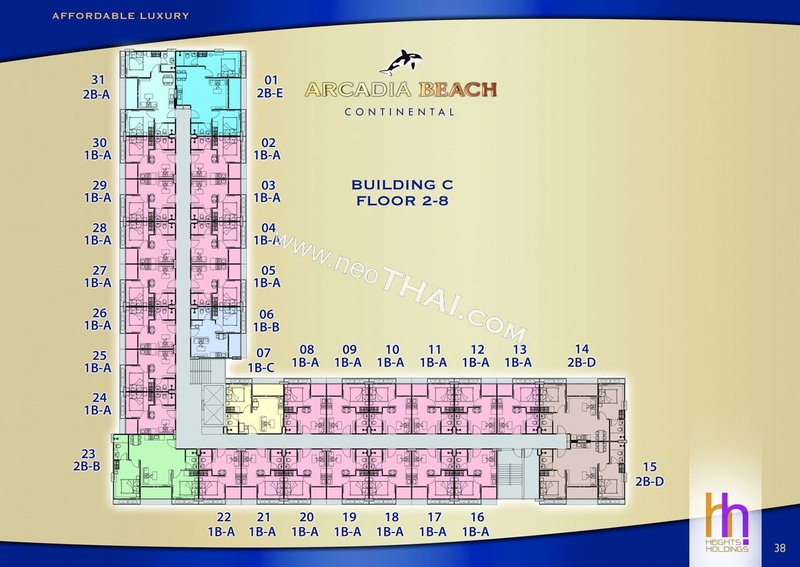 Arcadia Beach Continental Condo fuses the unique stylistic features of several of mainland Europes most prized regions amongst the lush tropical landscape of South Pattaya. 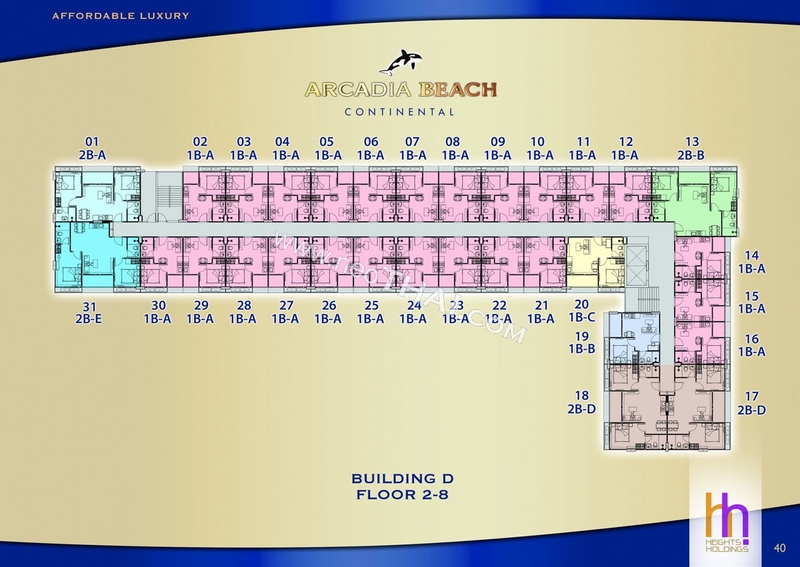 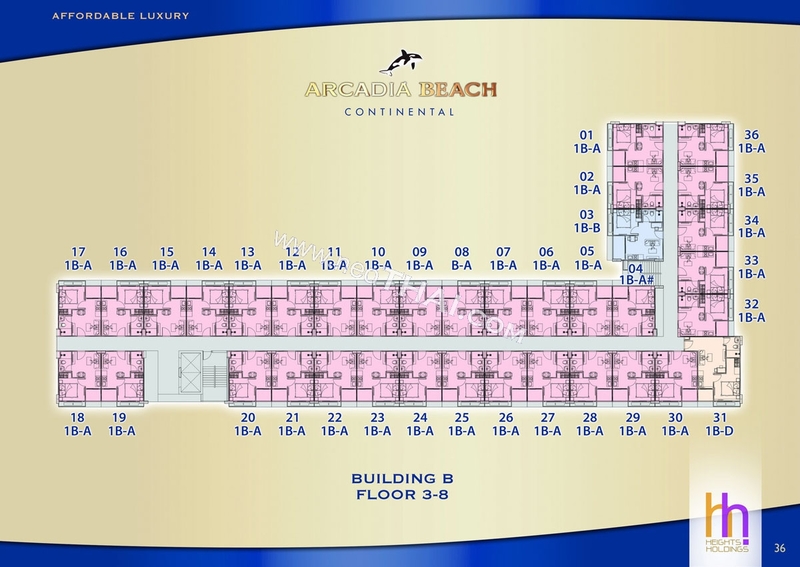 Set on 11 rai plot Arcadia Beach Continental Condo offers a plethora of facilities including a rooftop infinity-edge pool, fully-equipped fitness center, jacuzzi & sauna facilities, spa center, shopping arcade and underground parking. 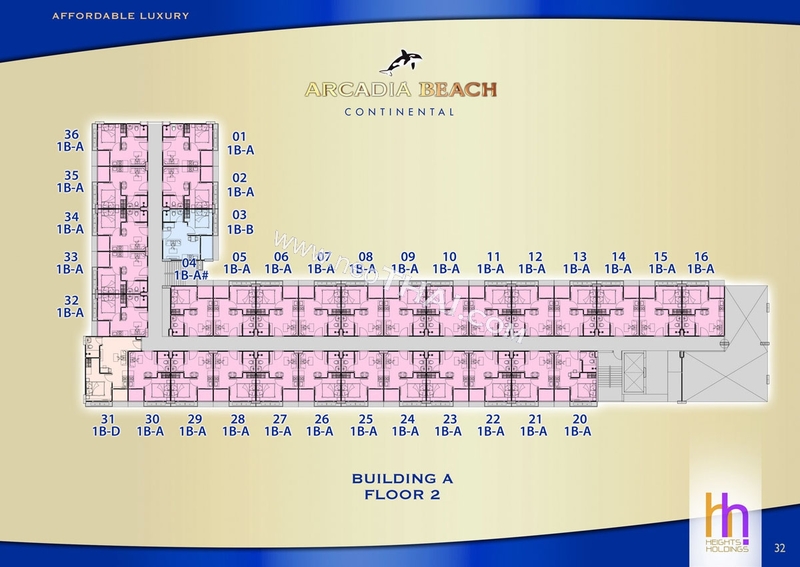 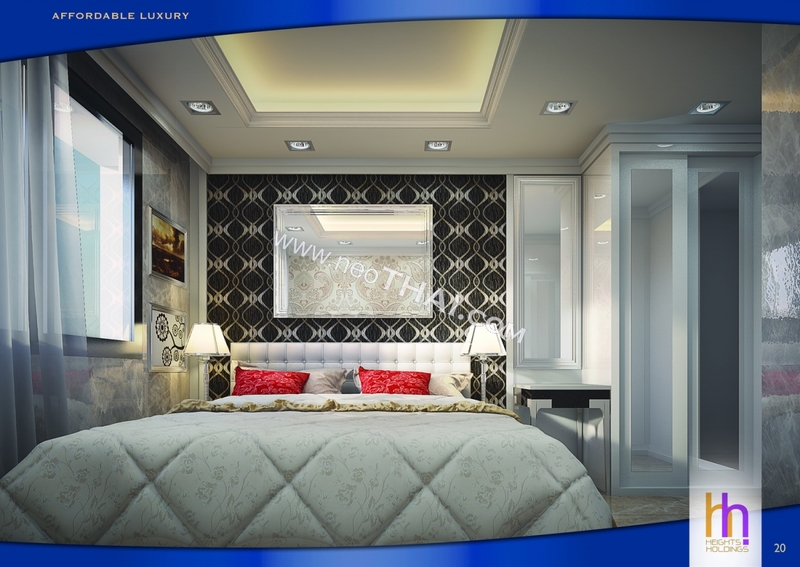 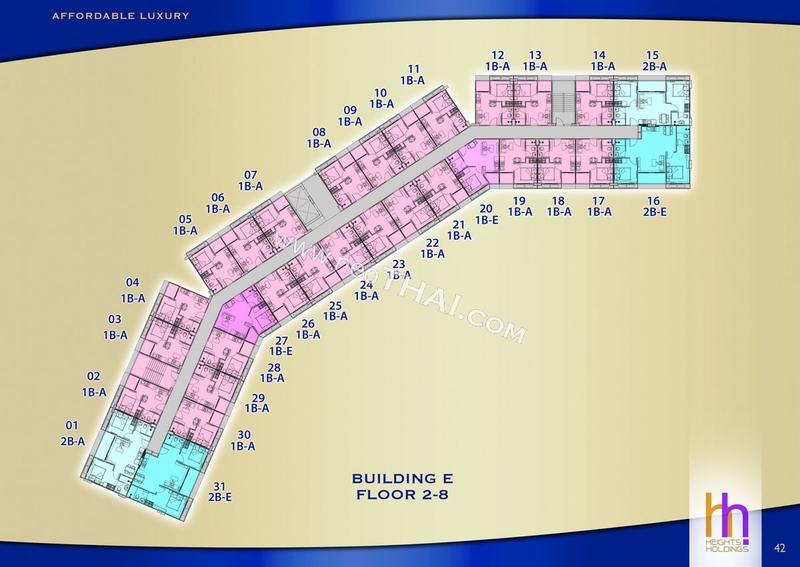 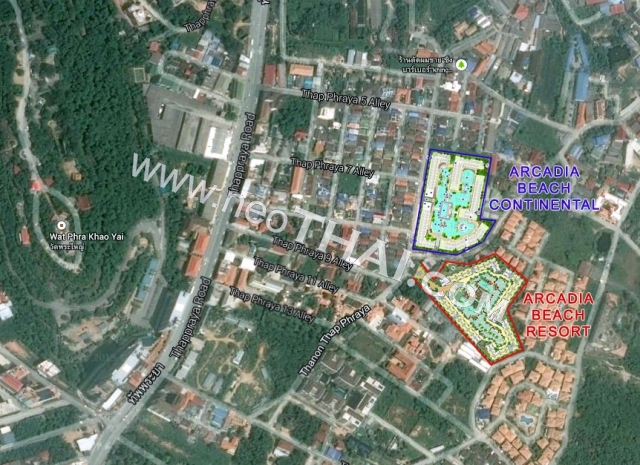 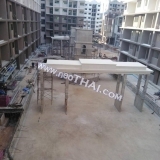 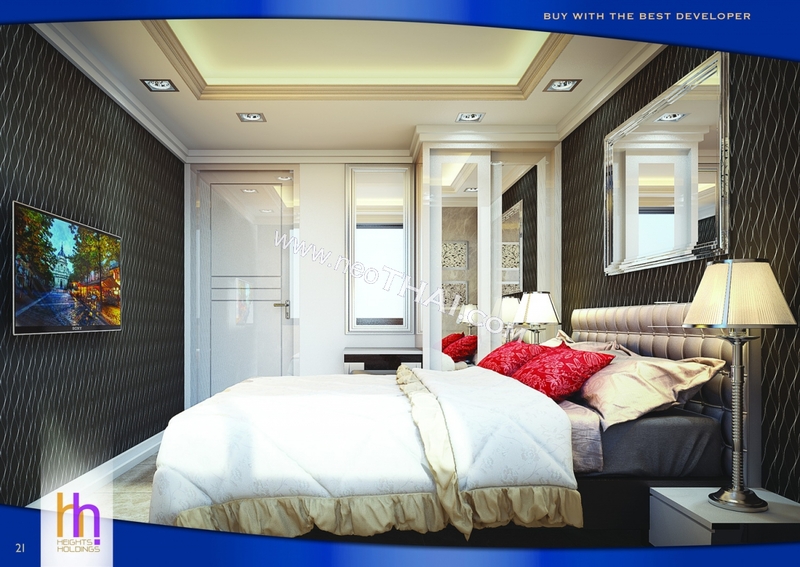 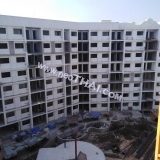 A five-building development of 1,350 apartments, with one and two bedroom units ranging from 26 to 63,5 square meters. 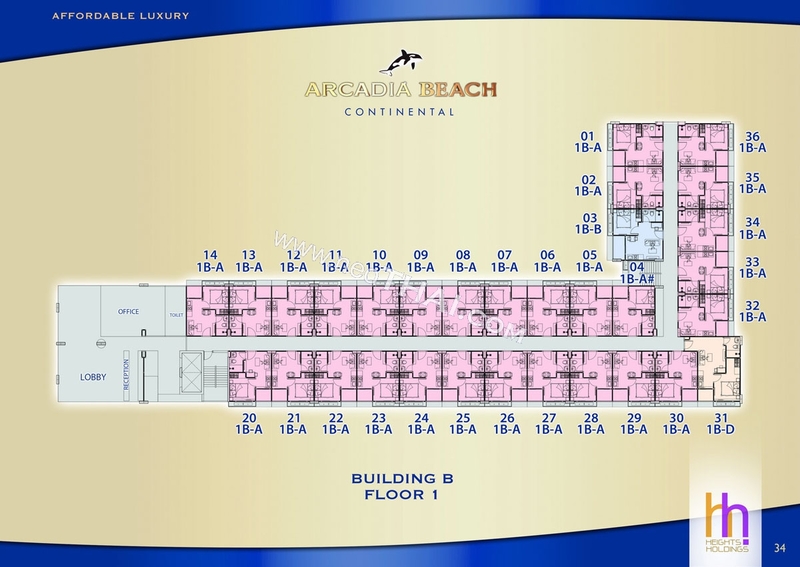 Arcadia Beach Continental fuses the unique stylistic features of several of mainland Europe’s most prized regions amongst the lush tropical landscape of South Pattaya.​ With all apartments set on the outside of the 11 Rai plot and distances of up to 130 meters between buildings, Arcadia Beach Continental offers a genuine resort experience featuring in excess of 60% pool & recreational areas. Relax and unwind in the enormous 3,500 sqm lagoon pool lined with waterfalls, submerged sunbeds and lush landscaped islands, or dine on delicious gourmet cuisine in a sun-kissed setting at the Mediterranean-themed restaurant. 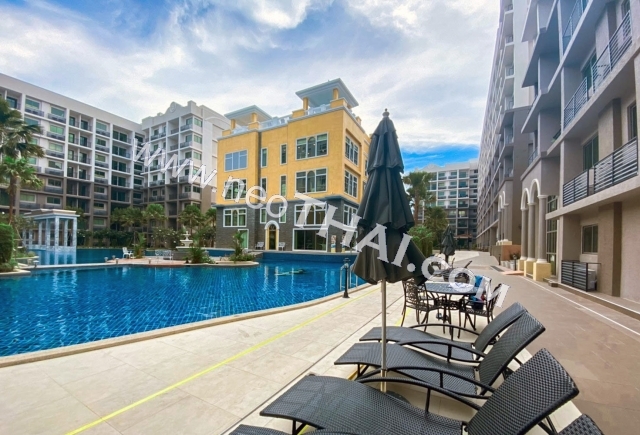 An Iberian-themed clubhouse – the centerpiece of the development – offers a plethora of facilities & amenities including a rooftop infinity-edge pool, fully-equipped fitness center, Jacuzzi & sauna facilities, spa center, shopping arcade & underground parking. 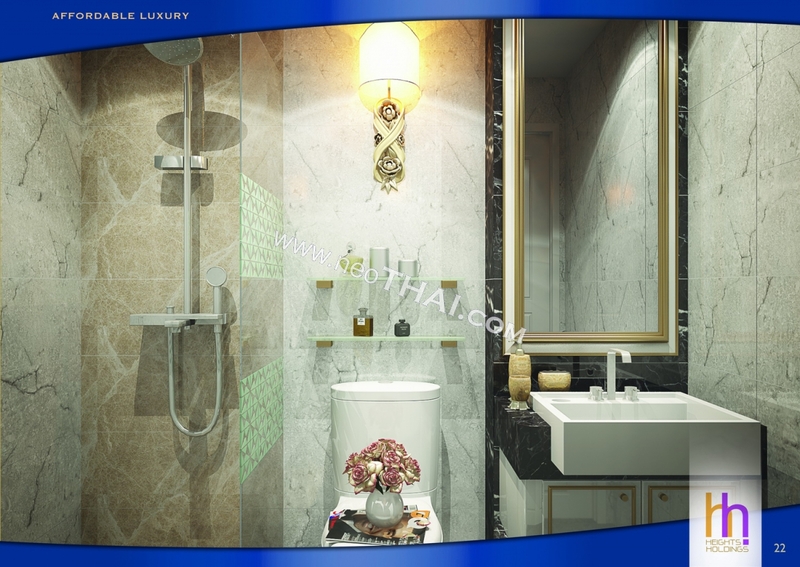 Designed with the resident in mind, each apartment offers comfort and convenience including luxurious marble-styled interiors, secure electronic entry systems and recessed atmospheric lighting. 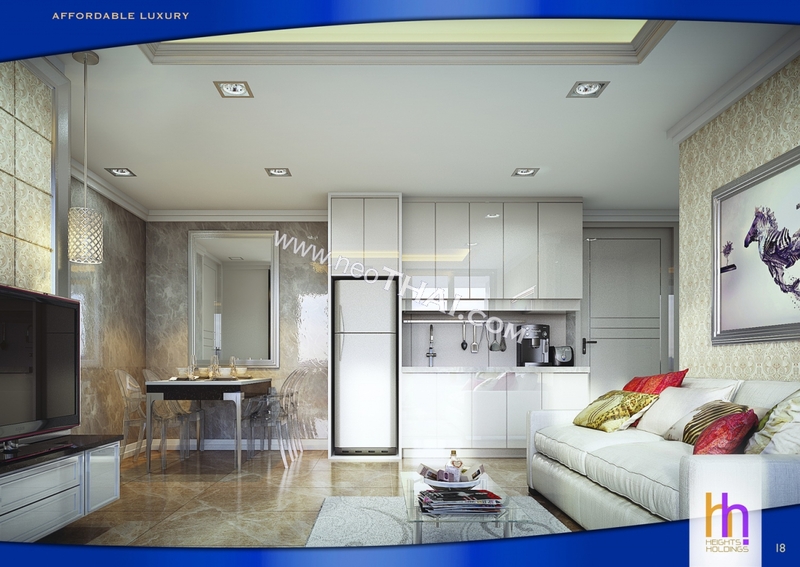 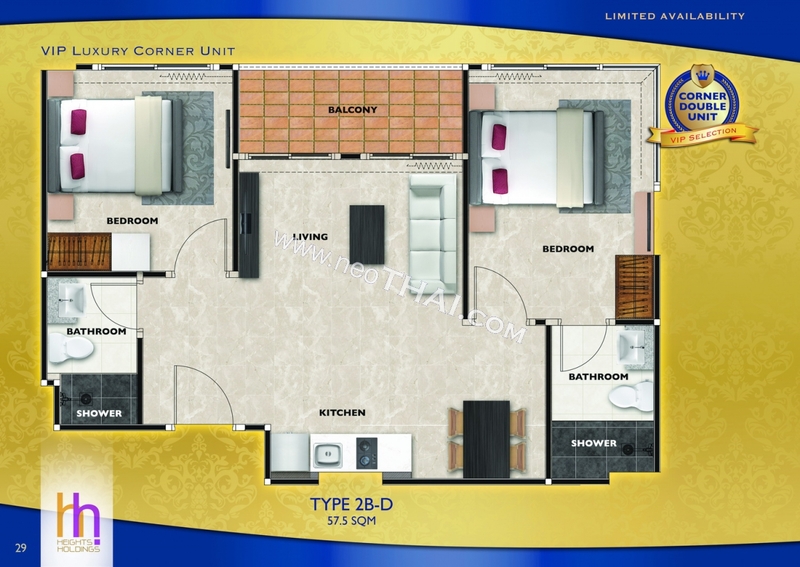 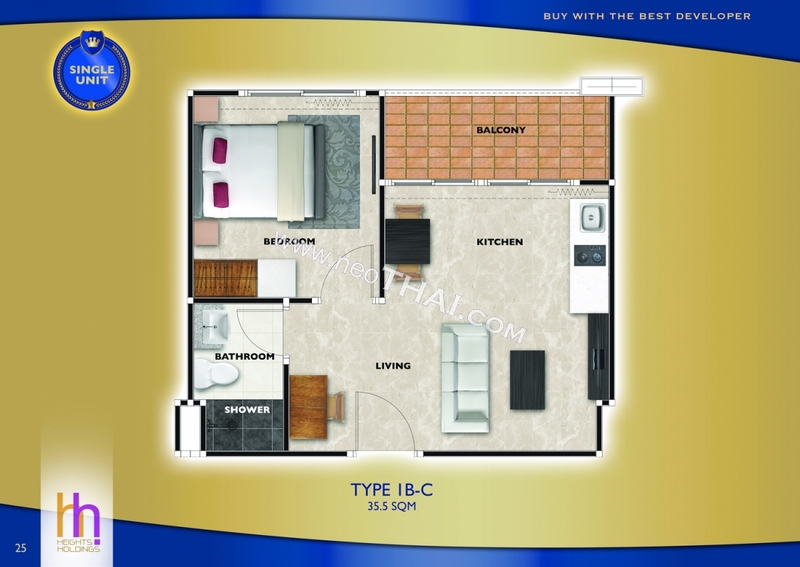 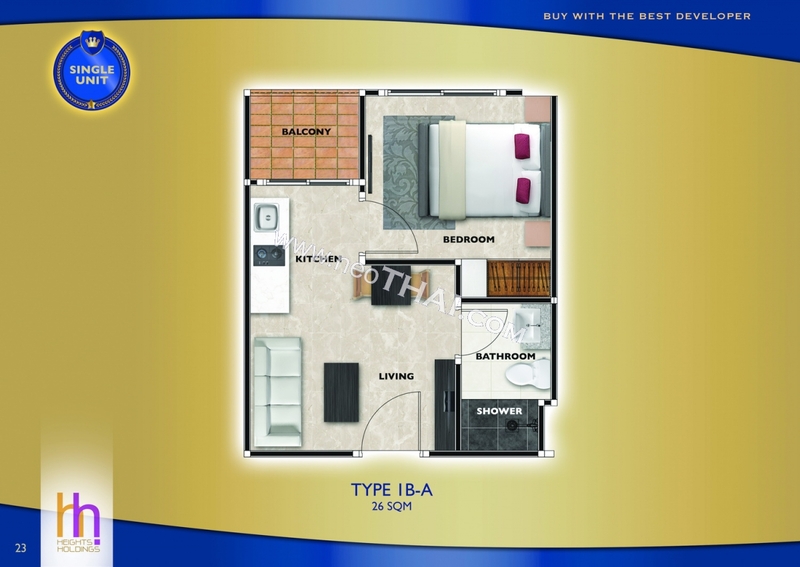 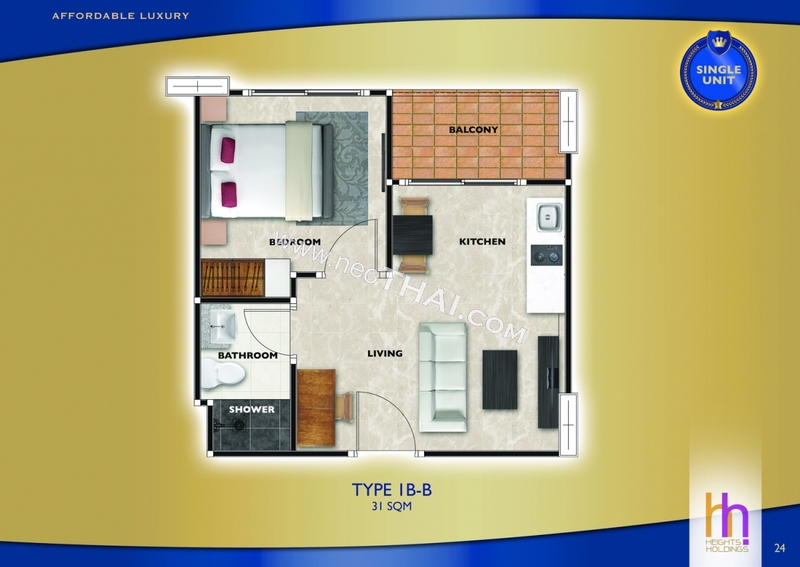 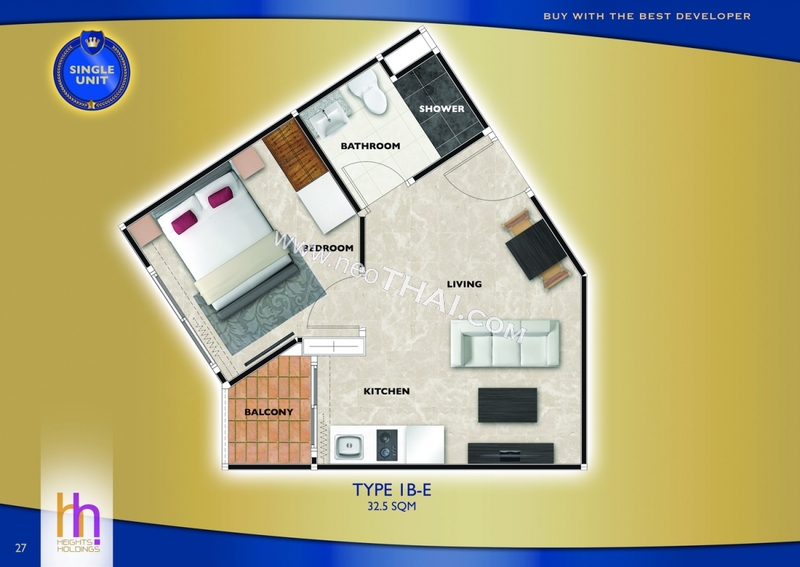 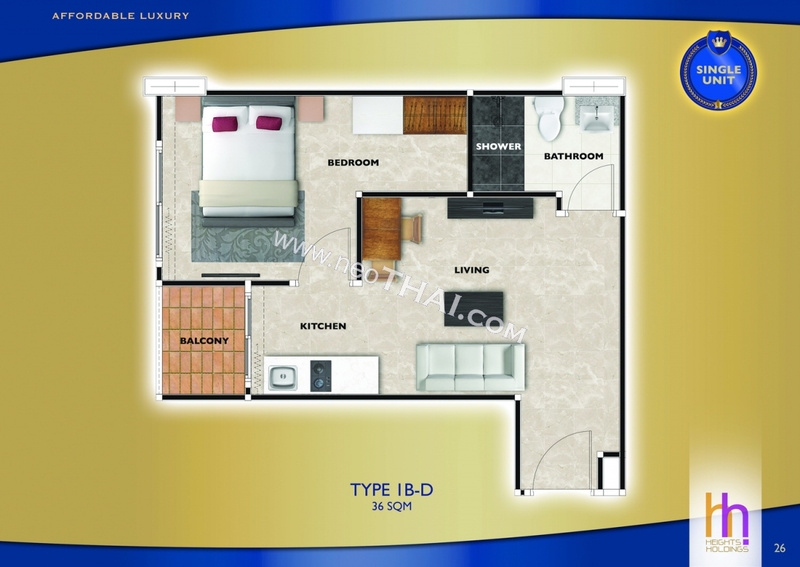 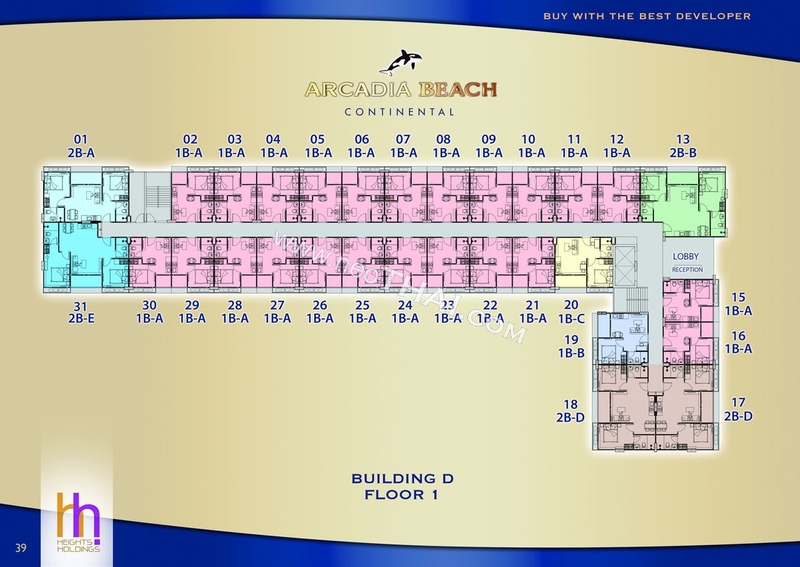 Each building features a selection of VIP corner apartments, with complimentary furniture packages on offer. 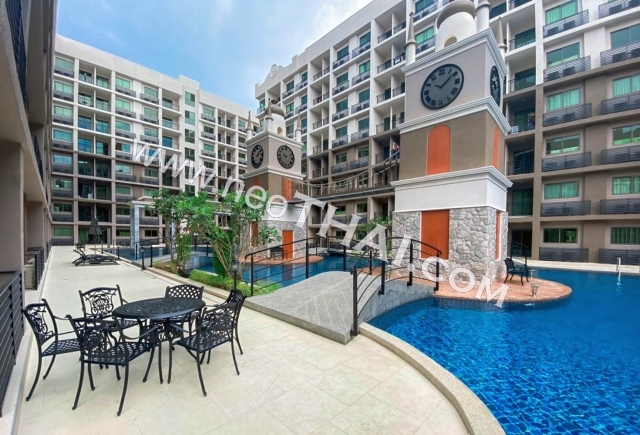 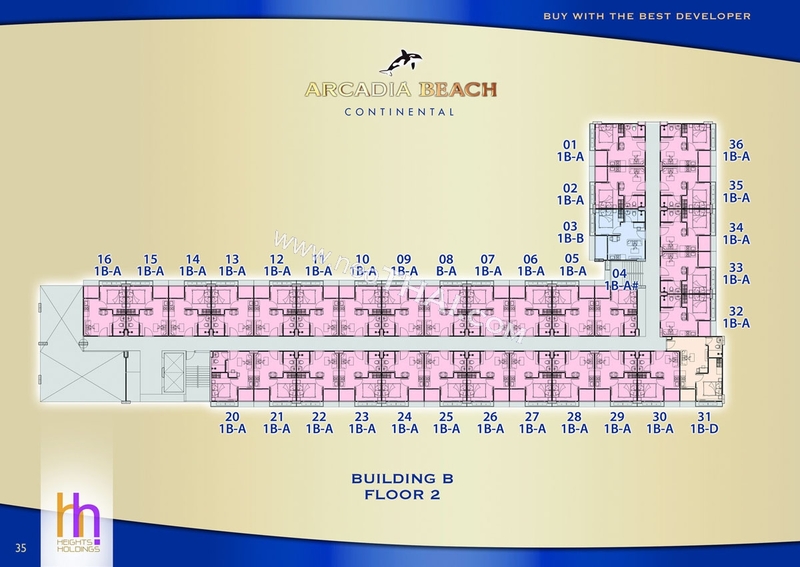 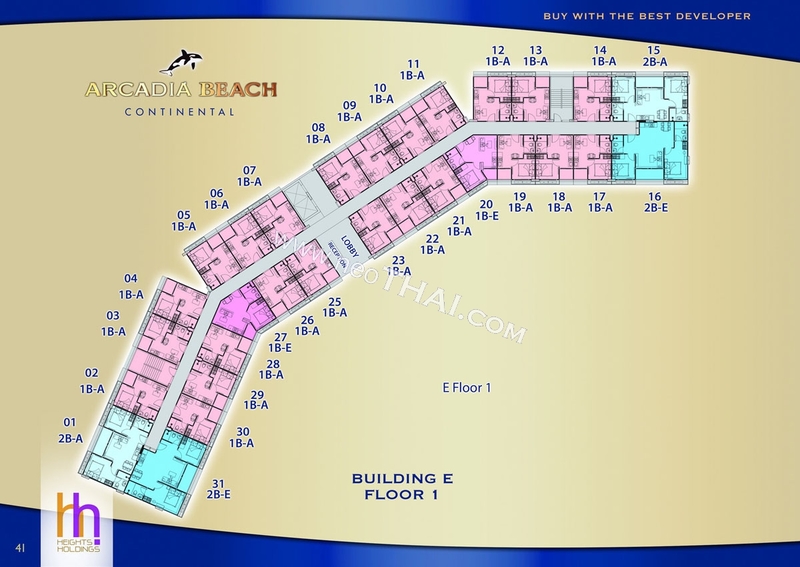 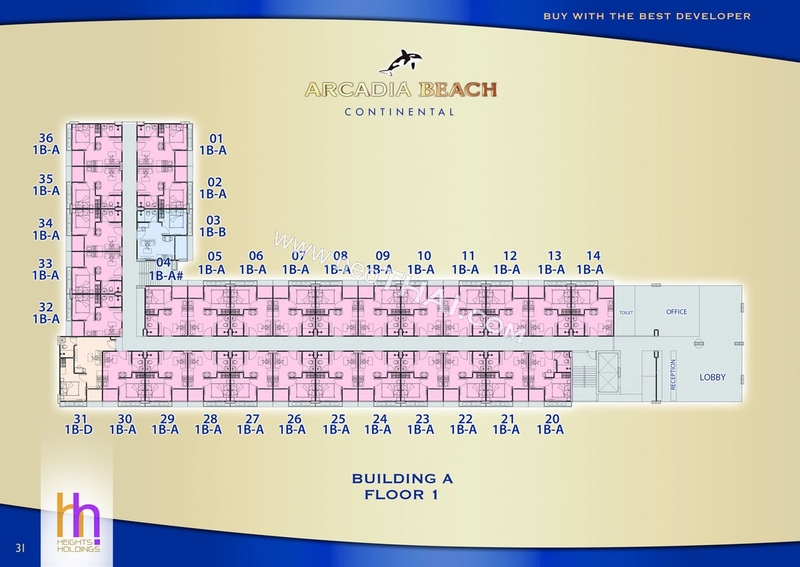 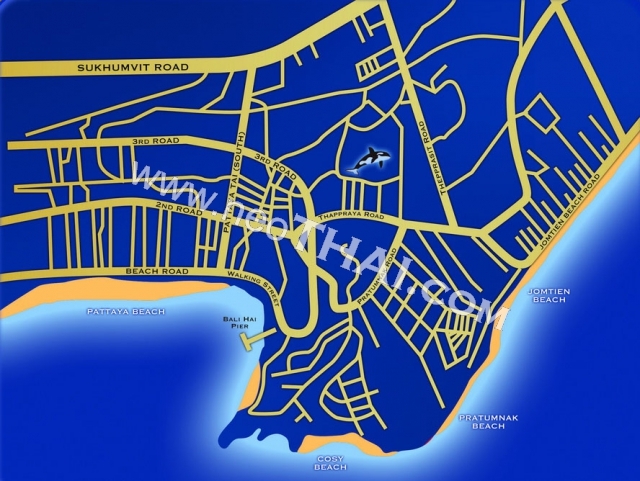 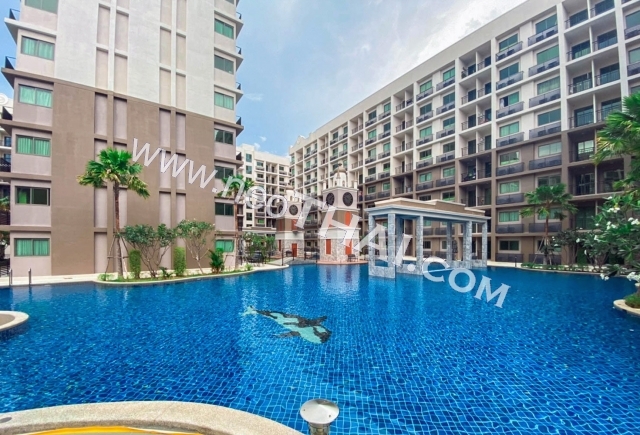 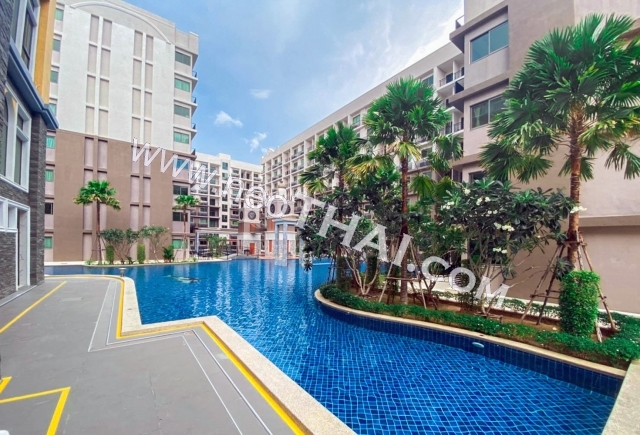 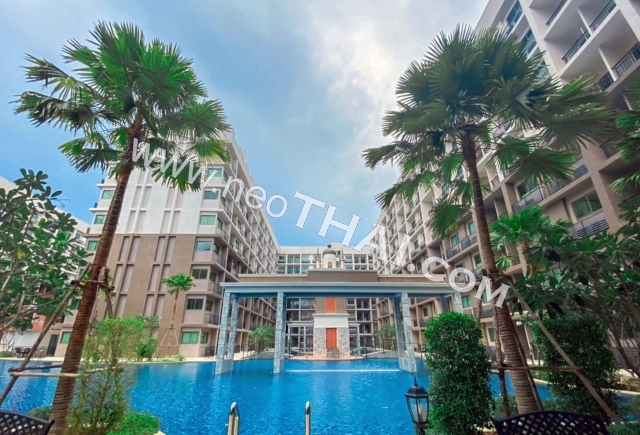 Arcadia Beach Continental boasts a quiet yet convenient location off Thappraya Road Soi 9, ideally positioned between central Pattaya and Jomtien.